Islam and revolutions that have sprung forth from Islam in all ages have been in danger of enemies and an attack by arrogant powers. This principle continues today as well. In must be observed in regards to arrogant powers that they are not exclusive to particular people or a particular group. They cannot be considered to only be from one or two countries. Rather, they include individuals, organizations, and political parties who are open enemies of Islam. Because of their expansion they have been entitled the world arrogant powers. Secondly, the enmity that the arrogant powers have with Islam started from the age of the Noble Prophet (s) and this groups enmity has severely increased with the internationalization and spread of Islam. They were always at war with the Prophet and his companions at all times; when the prophet had power and before he had power. Islamic Revolution Leader Ayatollah Sayyed Ali Khamenei said the global arrogance treats the Iranian nation with acrimony because the nation’s Islamic system runs counter to their worldwide domineering policies. “Global arrogance knows the Islamic System well. At the same time, the Islamic System has well tracked down the bloody claws of the arrogance under velvet cover. 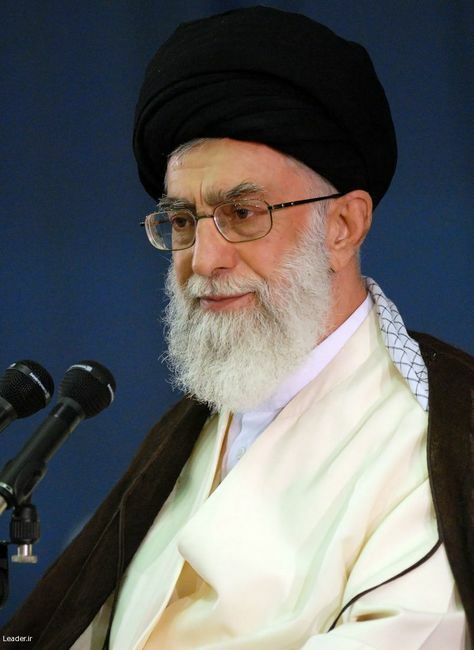 The face-off then is natural,” Ayatollah Khamenei told authorities Tuesday evening. Ayatollah Khamenei noted the western media’s brawls over the Islamic rules and regulations which are applied in the Iranian system of government, adding however that the Iranian authorities would continue to follow the principles of Islam and the revolution. Ayatollah Khamenei noted that adherence to the revolutionary platform never hinders the country’s progress despite an enemy effort to insinuate an otherwise trend. Ayatollah Khamenei however instructed the executive authorities to avoid immoderation in adopting any macro policies, adding that the three branches of power must join forces in such economic issues as the Article 44 General Policies and the Economic Overhaul Plan. 21 years ago Sayyid Arif Husseini’s face was covered in blood by the hands of the arrogant powers of the world. Arif Husseini had a high status who reached the high status of martyrdom because of the way he worship the True One. These were some of the words by Imam Khomeini about this great martyr. Arif Husseini was born into a pure family and started his Islamic studies after middle school in Pakistan. After he finished his preliminary Islamic studies he migrated to Najaf in order to complete them. Arif Husseini entered Najaf around the same time that Imam Khomeini was exiled there. He studied for some time under Ayatollah Madani and then was introduced through him to Imam Khomeini. Arif Husseini was attracted to the Imam from that first meeting and decided to fight to the death for him. Husseini’s struggles in Iraq caused him to be exiled from there. After he was exiled he returned to Pakistan and after a short while traveled to Qom. He benefited from the presence of Ayatollah Mutahhari, Ayatollah Wahid Khorasani, and others while living in Qom. He was also kicked out of Qom because of his movement and once again returned to Pakistan where he propagated Islam and Imam Khomeini’s thoughts. Three years before his martyrdom he was elected as the head of a large Shia organization which enabled him to spread revolutionary and religious thoughts quickly throughout Pakistan. This is why he was targeted and killed by the arrogant powers of the world who feared the progress that he was making. Please send a salawat on his soul. Who is Dalal Maghribi who Barak hates so much? Dalal Maghribi was the first woman commander in Palestine’s history of resistance. When she was only twenty years old she led around 10 Palestinians into one of the worst martyrdom missions. After killing many Israeli soldiers they faced the Israeli Special Forces on the way back led by Ehud Barak himself. In the end all of them reached martyrdom. This was so bad for the Zionists that Barak was seen on television dragging the corpse of this brave lady through the ground. Dalal Maghribi was born in 1958 in the Palestinian camp of Sabra from a Palestinian family originating from Yafa who had refugee status in Lebanon. She went to elementary and middle school in Beirut in schools run by agencies trying to help Palestinian refugees. She started military training while she was still in school. She was familiarized with various weapons and styles of war. At that time she became famous for her bravery and revolutionary spirit. With our whole existence we will stop the spread of immunity for Americans even if it means a serious war. Hizbollah was born with the victory of the Islamic Revolution in Lebanon and showed itself in the summer of that energetic year – 1982. It was a power which only a few people could imagine would have the power that it has today. 2. About one month ago, on the 24th of April, 2008, George Bush who prepared himself to visit the Middle East and take part in the occupied territory’s 60th anniversary gave news of America’s strong desire to topple Hizbollah. Some American and European news outlets called this a gift to Israel before his trip to occupied Palestine. A few days afterwards, Siniora’s government in an unexpected move fired the head of Beirut’s airport’s security who was a supporter of Hizbollah. It also called Hizbollah’s telephone system illegal. This move by the 14th of March political party which illegally held Lebanon’s government was faced with a serious warning by Hizbollah’s leader, Sayyid Hassan Nasrullah. At the same time, America emphasized that it will completely support the government and the American warship Cole entered Lebanon’s shores. Then, as always, Sayyid Hassan Nasrullah disgregarded America’s threats and gave Siniora a few days to retake his statements about the head of Beirut’s airport’s security and Hizbollah’s telephone system. When the government’s insistence and America’s support was seen, in a quick, accounted for move all of the centers under the control of the 14th of March political party were taken over along with their leaders. The continuance of this quick move in which America and the 14th of March PP did not expect showed the deep influence that Hizbollah has on the Lebanese people. 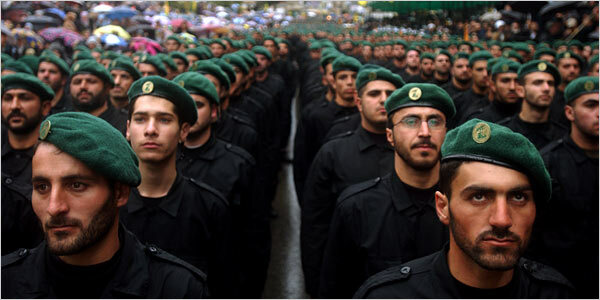 Once again after the 33-Day-War a Lebanese struggle ended in the favor of Hizbollah. Hizbollah’s move was so unexpected from the view of America and Israel that Israel gave the order for all of its troops to be completely prepared. Some leaders of the 14th of March PP ran away from Beirut. The Siniora government, who thought itself to be strong with the backing of America only a few hours before, was forced to give in to the resistance’s orders. They retreated from what they said a few days before. According to the Lebanese newspaper al-Akhbar a number of CIA and Mosad officials who came to Lebanon to command this move and who stayed in the American embassy made a bridge between Beirut and Qabars escaping the situation. The Doha Talks with the presence of Arabic foreign ministers, representatives of the resistance, and the 14th of March PP lead by Qatar was formed in this situation. From the beginning the Doha Talks could do nothing except give in to some of Hizbollah’s demands. It is clearly expected that Hizbollah will gain strength and the 14th of March PP will loose power, although most of the Arabs who took part in the talks wanted to protect the power of the 14th of March PP more than make Hizbollah loose power. Therefore, Hizbollah’s victory in the Doha Talks proves their strength – not that the things given to them makes them strong. Because of Hizbollah’s moves in the past two years the 14th of March PP did not have any other choice but to accept what the decisions in the Doha Talks were. 4. Hizbollah’s demands were: the establishment of the national-unified government, Mishel Sulayman becoming president, and 11 seats of the parliament (one-third reserved for the resistance) which gives them the power of veto. This plan was called the Mishel ‘Aun plan and was accepted in Doha. It should be noted that when these talks were announced Lebanese people in Beirut and other places protested saying that the Lebanese political heads have rigged these talks. They said: “This helped speed up the process. 5. The most important result of the Doha Talks was Hizbollah crossing the limits. Hizbollah created a nation in the past few years by their faith, bravery, sincerity, popularity, and their lives while protecting Lebanon and its entire population regardless of their religion or tribe. They brought a country who has been at discord and internal war since the Ottoman empire to a unified position showing that Lebanon’s peace will only be in unity. 6. After the results of the Doha Talks were mentioned American figures such as Khalilzad, Afghanistan’s representative in the United Nations said that they were going to make a United Nations Security Council resolution regarding Hizbollah. They said that since Hizbollah has turned national so the resolution number 1701 is illegal and nobody has the right to interfere in internal politics – making Siniora’s American backed movement illegal.